The improving economic outlook comes despite the dramatic US-Europe-Asia sell-off of recent days sparking fears of a return to global financial crisis. Britain's National Institute for Economic and Social Research (NIESR) has published figures predicting continued strong economic growth around the world, including Britain, which it expects to be carried far into 2018. 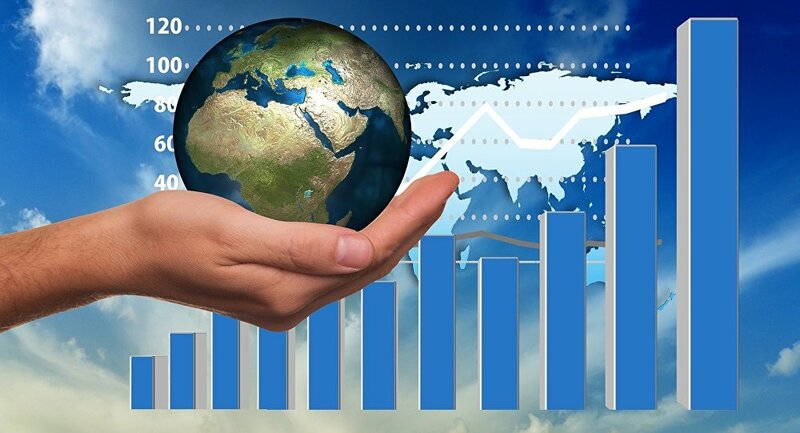 Predicting global growth of at least 3.9 percent for this year and 2019, the figures come after US, European and Asian stock-markets continued to lose ground on February 5 and 6, the Dow Jones Industrial Average suffering its largest drop in a single day. The apparent return of volatility to global financial markets was underscored by a significant recovery on the US stock exchange, recovering most of February 6's early losses. The projections represent an upward revision from the NIESR's original forecast due to increased business positivity over the preliminary UK-EU agreement reached in December 2017. Britain's projected growth rate for the year is 2 percent, the same as the European Union more generally. The Chinese economy is expected to continue to be a major contributor to global economic growth, despite its continued relative slowdown overall. The main risk to the health of the UK economy is still judged to be a potential failure in Brexit negotiations between Britain and the EU after which both would continue trading under World Trade Organization rules that would incur higher tariffs. Under this scenario, NIESR projected a possible loss in economic growth to the British economy of 6 percent. Other risks at the global level include fears over the impact of three prospective interest rate rises in the United States which would increase the cost of borrowing for businesses and individuals.